Montana is a distinct blend of both relaxed and strict gambling laws that combine to deliver a decent assortment of betting opportunities. Montana is one of the more interesting regions concerning sports-related wagering due to their previous relationship with federal gambling laws. 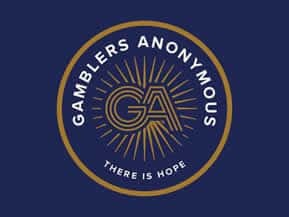 In an effort to assist individuals who are looking for legitimate online bookmakers that do not violate state or federal laws, we have created a comprehensive resource guide. Our guide is comprised of accurate and up to date information derived from extensive research and allows experience in the gambling industry both online and offline. We look closely at both state and federal laws, and how these laws are applied to the gambling market in Montana. We provide additional information concerning safe, high quality and legally licensed online sportsbooks that accept customers from the Treasure State. Is Online Sports Betting Legal In Montana? All legal betting in the state is regulated through the Montana Gaming Control Division, which operates under the Montana Department of Justice. Sports betting in Montana certainly enjoys a more noteworthy presence in the state’s gambling market than most other states currently enjoy. In fact, Montana is one of only four states that could legally license sports related wagering entertainment before PASPA was ruled unconstitutional. When discussing the legal status of sportsbook gambling in Montana, federal laws play the primary regulatory role in allowing this type of wagering to take place in the Treasure State. Federal gambling laws superseded state laws, as New Jersey found out the hard way. The federal government leaves the regulation of gambling up to each individual state in most cases. The exception to this rule was sports related wagering until 2018. Two specific federal laws governed this form of gambling entertainment. The first was known as the Bradley Act, PASPA and the Professional and Amateur Sports Protection Act. This law prohibited the operation of US based bookmakers within America’s borders until 2018. There were four states that were exempted from this law, and Montana was one of them. Despite the fact that the state has had the freedom to offer a robust sports betting initiative such as what we find in Vegas, Montana opted not to take advantage of this opportunity to launch sports related wagering, and has specifically outlawed sports betting. State regulated sports betting is currently not an option in Montana as there is still no legislating drafted to allow it. 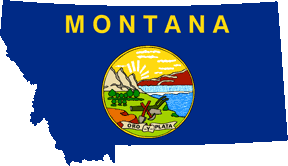 The Montana Code Annotated contains the laws governing gambling in the state. The second federal law that applies to the gambling market in Montana is the Federal Wire Act. This law prohibits the operation of US-based online bookmakers from accepting bets across state lines. Couple that with the state’s anti-online gambling laws and there’s not a chance in hell to find any type of online sportsbook that is licensed by the state’s government agencies. Montana has specifically outlawed state-regulated online gambling with a few exceptions that include state lottery games and simulcast facilities. The state’s statute specifically makes it a crime to operate an online gambling site within its borders. The law does not address participating in online gambling as a player. So where does this leave sports bettors in Montana? Yes, there is a silver lining here, and it is delivered in the form of legally sanctioned online sportsbooks that are located outside of the US. 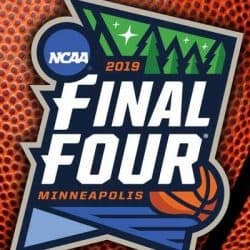 None of the state or federal laws discussed here prohibit US residents from engaging in online sportsbook gambling through a destination that is legitimately licensed, regulated and located offshore. This guide includes an up to date listing of the industry’s premium US online sportsbooks that are legally operating within the industry, each of which has been carefully evaluated by our team of analysts. We have verified that they are all licensed, compliance certified and regulated through a respected governing jurisdiction. 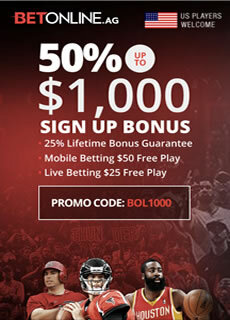 They offer betting lines, odds and paylines that are comparable with the Vegas bookmakers, as well as a secure, high-quality betting environment. We can recommend them without hesitation. You can check out our list of the top USA online sportsbooks here. What Are The Benefits Of Online Sports Betting in Montana? The main benefit is that you get to bet on sports, period. The state’s refusal to take advantage of the fact that they were grandfathered into an exemption from PASPA leaves its residents without any state-regulated sports betting opportunities. Legal offshore sportsbooks that accept customers from Montana deliver a strong betting experience with the convenience of online access. 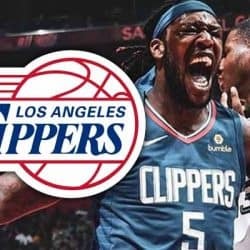 The bookmakers listed in this guide all cover a huge range of sports events, games and matches, provide a substantial selection of betting lines and wagering options, bring Vegas comparable odds to the table, and deliver attractive customer incentives for opening an account with them. 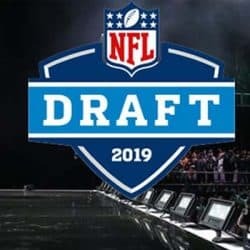 Even if Montana changes their tune and allows legal sports betting to emerge in the state, it is not likely that it will be able to compete with the impressive scope of options and features that the offshore destinations present. A few examples include mobile betting options, in play and live in play betting, international sports coverage, and more. A state-regulated sports betting initiative in Montana would also not be able to legally offer an online version of their services to surrounding states due to the Federal Wire Act’s interstate restrictions. Visiting a brick and mortar bookmaker cannot come close to offering the convenience that is present with online sports betting opportunities.